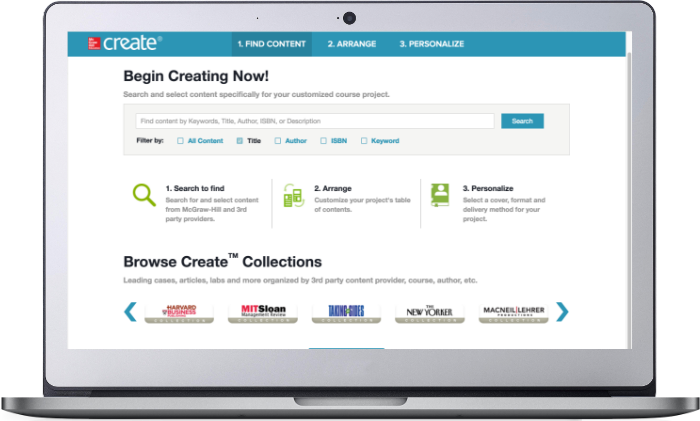 Create’s website lets you select content from curated sources to build your ideal course materials. Just three easy steps and your book is good to go. 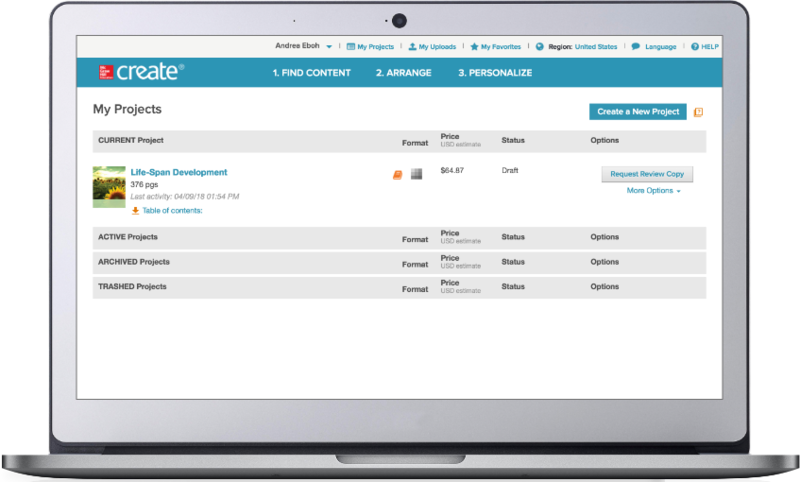 Building course materials and optimizing student learning is easy with Create. Choose from high-quality textbooks, articles, and cases from our collections, or upload your own syllabus, teaching notes, or exercises. Arrange and organize your content to align with how you teach your course.